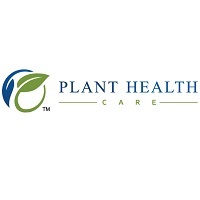 Plant Health Care (LON: PHC), a leading provider of novel patent-protected biological products to the global agriculture markets, announced today its preliminary results for the full year ended 31 December 2018. • Harpin αß was launched into sugarcane in Brazil in February 2018, which is a 10 million hectares opportunity. Over 20,000 hectares treated so far, a promising start. • Harpin αß was launched into US corn in September 2018, which is a 90 million acre market. First use in the field will be in the second quarter of 2019. • The Company won the global award of Best New Biological Product for work on citrus in Spain. • Nine companies, including all five of the top global agrochemical/seed companies, tested peptides from our PREtec platforms during 2018. • PREtec product pipeline defined, targeting $5 billion market opportunities. • Regulatory submission to EPA for first PREtec peptide made in August 2018. • Substantial progress made in developing cost-effective production of PREtec peptides. • New strategy for commercialisation of PREtec: both technology licensing and direct sales to distributors. • Revenue from commercial products in 2018 increased by 5% to $8.1 million (2017: $7.7 million); Strong external sales growth in the Americas (up 105%) was offset by weaker sales in Rest of World due to slower draw-down of inventory. • Sales of core Harpin αß products increased by 10% (8% in constant currency*), driven by broadly based growth in many countries. Harpin αß and Myconate® products represented 68% of sales in 2018 (2017: 69%). • Gross Margin increased to 65% (2017: 62%). • Cash, cash equivalents and investments at 31 December 2018 were $4.3 million (2017: $3.9 million). • On 27 February 2018, the Group successfully raised $6.7 million (net of costs) which was well supported by existing shareholders and brought in a number of new institutional investors. *: constant currency is defined below. “Plant Health Care continued to make good progress in 2018, under challenging conditions. The launch of our new corn product in the US holds great promise for future sales growth. With the expected level of grower sales in 2019, we anticipate strong sales growth thereafter. Sales of our new soy product, which we had expected our channel partner to launch before the end of 2018, have now started on a modest scale, as our partner introduces the product to the market. We expect sales to be comparable to the corn product, over time. Our Commercial team in Brazil has got off to an impressive start. The launch of H2Copla into sugarcane with our partner Coplacana has gone well, with over 20,000 hectares treated to date. With growers reporting yield increases of up to 20% and an ROI of up to 20 times, we have strong expectations for growth in 2019 and progress towards our target of 500,000 Ha treated in four to five years’ time. The launch of Harpin αβ as a soy seed treatment in Brazil holds out the prospect of sales comparable to those in sugarcane. While 2018 trials of Innatus 3G in Brazil did not show commercially useful levels of disease control, they did show significant improvement in yield. A total of nine companies tested PREtec peptides in 2018, including all of the five major agrochemical/seed companies. We are now planning to commercialise these peptides both through technology licensing and through direct sales to distributors. Within the Company, we have made strong progress in production methods, which gives us great confidence in our ability to produce PREtec peptides at low cost. At the same time, the submission for registration by the EPA in the US holds out the prospect of fast track registration as early as 2020, with registration in Brazil following later. Plant Health Care® is a leading provider of proprietary agricultural biological products and technology solutions focused on improving crop performance. The Group made further good progress in 2018 in both our commercial operations and continued development of our new technology. In the Commercial business, the launches of Harpin αß in US corn and in Brazilian sugarcane during 2018 are confidently expected to substantially accelerate revenue growth in 2019 and beyond. In New Technology, we are transforming the PREtec peptide platforms into a rich product development pipeline with fast track to launches as early as 2021, reaching growers both through technology licences and through direct sales to distributors. Commercially, sales growth was 5%, as increased sales in the US and Brazil were offset by materially reduced sales in South Africa. Gross Margin improved to 65%, as Harpin αß rose to 66% of sales; Harpin αß has now grown at 20% CAGR (Compound Annual Growth Rate) since we re-launched the business in 2013. Increasing numbers of growers are discovering the benefits of Harpin αß, as a biological product which delivers exceptional additional yield with favourable environmental profile. In New Technology, nine companies, including the top five global agrochemical/seed companies conducted PREtec field trials during 2018. Peptide evaluation in greenhouse and field trials has now enabled us to define specific products for target markets; these markets have a total value in excess of $5 billion. Submissions have been made to the EPA, the relevant regulatory department in the USA, which are expected to result in first product registrations during 2020. We have advanced production methods for our lead peptides, which will provide cost-effective products in time for launches in 2021 and beyond. To accelerate market entry, we are now developing plans to enter markets not only through technology licensing but also for direct sales to distribution partners in key markets; this new approach to commercialisation is expected to bring PREtec peptide products to market more rapidly and enhance the Group’s margins. The Group successfully completed an equity raise in February 2018, raising $6.7 million (net of costs). We are confident that our cash reserves and income from our commercial sales are sufficient to take the Group to cash positive, no later than the end of 2020. We report here separately on the two areas of focus for the business: Commercial and New Technology. We are organised in these two lines of business and report our Commercial business in three geographic segments – Americas, Mexico and Rest of World. We report our New Technology business in a single segment. Our Commercial business sells our proprietary products worldwide through distributors and also distributes complementary third-party products in Mexico. Overall sales in 2018 were $8.1 million, an increase of 5% in both actual and constant currency* over 2017 ($7.7 million). Strong sales growth in the USA (up 31% to $2.1 million), Brazil ($1.1 million from nil in 2017), Spain (up 16%) and Mexico (up 9%) was offset by reduced sales in Europe/Africa (down 46%), due to slower draw-down of in-market inventory in South Africa. Sales of core Harpin αß products increased by 10% (8% in constant currency). Harpin αß and Myconate® products represented 68% of sales in 2018 (2017: 69%). Harpin αß sales have now grown at 20% CAGR since 2013. Sales in Brazil reached $1.1 million (nil in 2017). The launch in March 2018 of H2Copla, the exclusive brand of our distributor Coplacana into the 10 million hectare sugarcane market in Brazil was well received, boosted by trials which showed an ROI (Return on Investment) for growers of up to 20 times. Sales into sugarcane during the year were $1.0 million. In October, Harpin αß was launched as a seed treatment in soy, with initial sales ex Plant Health Care of $0.1 million. We anticipate rapid sales growth in both markets during 2019. In the USA, Harpin αß was launched into the 35 million hectare corn market in 4Q 2018, through a very strong distribution partner. Trials have shown an illustrative ROI of 7 times or more to growers and the launch was well received with further demand anticipated in 2019. The Group sold $1.6 million in 2018, which is expected to be consumed in the spring of 2019. Total sales for Harpin αß in the USA reached $2.1 million (2017: $1.6 million). Sales in Mexico grew 9% to $3.1 million (10% in constant currency), recovering from the effects of drought in 2017. In Spain, the Group’s work on the use of Harpin αß to improve the quality of citrus was recognised by the prestigious global Agrow award for Best New Biological Product. Sales in Spain increased by 16% to $0.6 million (2017: $0.5 million). In South Africa, in-market sales in the 2017/18 season did not reach ambitious targets and the 2018 early season was also hit by severe drought; as a result, the Group had lower sales. This resulted in sales being down by 46% in the UK/Africa region, to $1.7 million. New Technology is focused on novel proprietary biological solutions using the Group’s PREtec science and technology capabilities (PREtec stands for Plant Response Elicitor technology). PREtec is a novel, environmentally friendly approach to protecting crops, based on peptides derived from natural proteins. These proprietary peptides are stable and compatible with mainstream agriculture practices such as seed treatment and foliar sprays. By activating the innate growth and defence mechanisms of plants, PREtec peptides lead to higher crop yields and better protection against disease and environmental stresses such as drought. PREtec generates the possibility of many peptide product candidates across several platforms; we have so far characterised and presented to our partners peptides from three related families of peptides, each of which is a platform for product development: Innatus™ 3G, T-Rex 3G and Y-Max 3G. A fourth platform has also been characterised. The Group believes PREtec has substantial potential to support farmers to increase yields and productivity. Our vision is for growers to apply a PREtec peptide on every hectare or acre of agricultural land in combination with conventional agricultural products to improve their performance, reduce their environmental impact, reduce the development of disease resistance to chemical pesticides, and increase yields. In 2017, the Group initiated field trials of PREtec peptides for the control of Asian Soybean Rust (ASR) in Brazil, together with partners. While earlier results had given promising results for ASR control, the trials in the 2017/18 crop did not show results sufficient to convince partners to move to license PREtec for soy in 2018. However, low doses of PREtec peptides did show significant yield increases and work continues on this target crop in the 2018/19 season, with encouraging early results. During 2018, the Group conducted a full review of the potential product pipeline emerging from PREtec and of the routes to market for those products. The Group expects to launch the first products from PREtec as early as 2021. The target markets for our current pipeline of PREtec peptides include corn and soy (yield increase through seed treatment), control of Asian Soybean Rust (ASR) and other diseases, sugarcane (yield and disease), enhanced plant nutrition, and nematode control in fruit and vegetable crops; most of the larger target markets are in North and South America. These markets are very large for both disease control and yield enhancement products. The Group’s product pipeline will be addressing markets worth in excess of $5 billion. The increasing presence and relationships we have in both the USA and Brazil with Harpin αß gives us a great advantage in these markets for new PREtec products. For each of these target markets, we have identified a lead peptide and a back-up. The Group has made submissions for product regulatory approval in the USA, which are anticipated to result in first registration during 2020. Registration in Brazil will follow. Strong progress has been made in developing efficient production methods for PREtec peptides. During 2018, the target production efficiency for PHC398 was comfortably achieved. Work on production methodology for other peptides is also promising. This gives the Group confidence that PREtec peptides will be cost-effective in the field and provide a competitive advantage. Preliminary estimates suggest margins could be comparable to those which the Group currently enjoys with Harpin αß. Work continues with evaluation partners to develop both technical profiles and routes to commercialisation. The Group expects to access the market through technology licences for several products. However, following the review of commercialisation strategy and recognising the growing strength of the Group’s commercial relationship with distributors, some of the products are now expected to be commercialised directly with in-country distribution. We believe that this sales route will take products to market more rapidly and result in higher margins being retained by the Group. PREtec works by inducing natural defensive and metabolic responses in crop plants so that they suffer less harm from the usual stresses (like nematodes or disease) faced during a growing season. This is achieved by designing peptides that mimic the active sites of larger naturally-occurring proteins to which plants are evolved to respond defensively. These peptides are generally accepted as being safe to handle and having negligible toxicity. They do not leave any detectible residue and rapidly degrade so that they do not persist on the plant after application. For these reasons, PREtec peptides should be generally easier, cheaper and quicker to register for commercial use than most other agricultural chemicals. Novel variations in peptide structures and their use in agriculture are patentable. It is possible to design a very large number of closely related peptide variants. Our first proprietary peptide platform, Innatus 3G, was introduced to partners in 2014-15. In 2016, we presented the next two platforms – T-Rex 3G and Y-Max 3G each of which has biological activity which is distinct from but complements Innatus 3G. We continue to design peptides which will be evaluated and launched in due course. Plant Health Care has an extensive global portfolio consisting of more than 40 patent applications pending worldwide which cover the various PREtec platforms and their use in agricultural applications. The patent applications also include the genes that code for those peptides in order to, for example, create crops having increased innate defensive responses to disease. The Group’s IP estate covers a significant share of the ‘space’ available for using peptides in agricultural production. Net cash used in operations was $6.3 million (2017: $6.1 million). Included in the cash used in operations is an increase in the Group’s inventory offset by lower accounts receivable and accounts payable balances. The delay in the launch of the soy product caused the Group’s inventory to be $0.6 million higher than expected. The Group anticipates that this inventory will be consumed in the second half of 2019. We evaluate our results of operations on both an as reported and a constant currency basis. The constant currency presentation, which is a non-IFRS measure, excludes the impact of fluctuations in foreign currency exchange rates. We believe providing constant currency information provides valuable supplemental information regarding our results of operations, consistent with how we evaluate our performance. We calculate constant currency percentages by converting our prior-period local currency financial results using the current period exchange rates and comparing these adjusted amounts to our current period reported results. I have had the honour to act as Interim Chief Executive Officer, as well as Executive Chairman, since November 2016. The Board reviews these arrangements regularly and has requested that I continue as Interim CEO for the time being. The Board will review the situation periodically and may initiate a search for a new CEO in due course. Dr Richard Webb stepped down from his role as Executive Director for New Technology at the end of 2018. From that date, he resumed his earlier role as Non-executive Director. Agriculture markets are generally stable at present. Demand for agrochemicals is unlikely to grow significantly until commodity prices increase. However, growers are increasingly adopting biological products, because of their potential to improve productivity while reducing environmental impact. Based on various reports, we expect growth in the demand for biological products to increase at approximately 10% per annum from 2018 to 2020. We are confident that Harpin αß sales will continue to grow significantly faster than the market for biological products as a whole over the medium term. However, sales in any one period will be subject to seasonal factors such as weather, timing of registrations and requirements of distributor partners. Furthermore, we sell our products into our distributors in advance of the growing season with the next year’s demand in large part driven by the conditions during that season. As a result, Group sales may not follow a strictly linear trend and in some cases can see short delays which can switch sales in some markets from one calendar year to the next. We are confident of strong revenue growth in 2019, based on the successful launches of Harpin αß in sugarcane and soy in Brazil and in US corn. In addition, we are launching a product for soy seed treatment in the USA in 2019, through the same distribution partner which launched the corn product in 2018. The combination of these product launches, on top of growth in existing markets, is in our view likely to accelerate our revenue growth over the coming years. In PREtec we are focusing on accelerating product development, with a view to launching products from 2021 onwards. We expect to generate revenue in the coming years through both technology licensing and direct sales approaches. Plant Health Care has a clearly defined strategy, which we are implementing effectively. 2019 will be a decisive year for the Group, which we enter with confidence. In closing, I would like to thank the entire Plant Health Care team for all their hard work during the year. Strong results come from great people, working towards shared goals. As Interim CEO, I am proud of the Group’s impressive team of highly motivated professionals, in whom I have the greatest confidence. Harpin αß is an exceptionally powerful biostimulant, which stimulates the plant’s natural defence systems. The result is increased yield, quality and improved resistance to soil pests and disease. Harpin αß is a recombinant protein, developed from the original research by the Company’s Chief Science Officer Dr Zhongmin Wei on naturally occurring Harpin proteins. Sales of Harpin αß have grown at 20% CAGR over the six years to 2018, since we adopted a strategy of expanding registrations and developing distribution through new partners. We are now able to sell Harpin αß in more than 14 countries. Sales were developed initially in a range of fruit and vegetable crops in the USA, Mexico, Europe and Africa. The focus over the last three years has been to enter into larger scale arable or row crops (such as corn, soy and sugarcane), which provide much larger sales opportunities. In Mexico, Harpin αß is now well-established as a biostimulant for vegetables such as bell peppers, which are grown in greenhouses for export to the USA. The Company is a significant player in the application of Harpin αß in the bell pepper market in the Sinaloa/Baja California area of Mexico, delivering increased yield of higher quality product. The Group now sells in excess of $0.5 million of Harpin αß in Mexico. In Spain, the Group has been developing Harpin ß to improve the quality of citrus fruits over the last five years. Studies in co-operation with Barcelona University have shown that applications of Harpin αß result in more uniform skin formation and colour. The practical result is that growers have a higher proportion of their fruit which grades as export quality, thereby increasing their economic returns. This work was recognised in November 2018 in the prestigious Agrow Awards, which evaluates agricultural inputs from all around the world; the Company was awarded Best New Biological Product. The Group now makes sales of $0.6 million in Spain. After four years of trials, the Group launched Harpin αß into sugarcane in Brazil in February 2018. There are 10 million hectares of sugarcane in Brazil, of which more than 50% are in Sao Paulo State. Demonstration trials have shown very substantial yield improvements, with average yield increase up to 20%, from a single foliar application of Harpin αß. The product was launched under the brand H2Copla, exclusively in Sao Paulo state by Coplacana, the leading sugarcane co-operative, which services more than 70% of the sugarcane hectares in Sao Paulo State. The launch was very well received; the Group sold approximately $1.0 million into this market in 2018. Also in Brazil, the Group is developing sales into soy, which is grown on 35 million hectares. Harpin αß is applied as a seed treatment in soy and results in increased yields. Initial sales were made in the fourth quarter of 2018, through GAIA, a strong distributor in the Mato Grosso. After several years of trials, the Group launched Harpin αß into corn in September 2018. In this case, Harpin αß is sold as a mixture product for on-farm seed treatment. The product is being sold by a leading distributor of inputs to corn growers, which supplies products into the 90 million acre US corn market. The Group sold $1.6 million for this launch in 2018; this product will be used on farm during the spring of 2019. The Group is now launching Harpin αß into soy, through the same distributor in the USA. The product was introduced into the market on a small scale (a soft launch) in early 2019; if results are promising, the product is expected to be sold on a larger scale in the latter part of 2019. • Coplacana launched the H2Copla brand in February 2018. * Based on 2016 sugarcane harvested data and 2017/2018 projected data from USDA Foreign Agricultural Service’s GAIN report dated 19 April, 2017. ** Yield increase based on Plant Health Care field trials conducted on sugarcane in Brazil in 2017; Value and ROI based on cost data from Agrianual 2016 FNP – Informa report. PREtec (Plant Response Elicitor technology) is our core new technology, inspired by harpin proteins found in nature. Based on our unique understanding of how key amino acid sequences elicit a desired response in target crops, we are able to design families of peptides (chains of amino acids) that when applied to crops provide increased growth, disease resistance and other benefits for farmers. We have so far designed and filed patent applications for four peptide platforms from our research; three of these have been named and launched with partners. Each family of related peptides is considered its own platform, all covered by extensive patent filings. In the chart below, 3G signifies third generation product candidates (distinct from the second generation commercial Harpin αß products). In addition, we have a fourth generation (4G) platform, consisting of the use of custom genes within plants and microbes to express the desired PREtec protein. Since 2012, the Group has conducted extensive laboratory, greenhouse and field trials in our own facilities, with co-operators and with more than 10 evaluation partners. These trials have demonstrated the potential of our lead PREtec peptides in a wide range of crops to deliver targeted agronomic benefits, such as stronger root growth, resistance to attack by fungi and soil pests (nematodes) and improved recovery from the effects of drought. In parallel, we are well advanced in development of production methods, which hold out the promise of PREtec peptides being cost-effective in the field. In August 2018, the Group submitted an application for registration with the EPA in the USA for approval to sell PHC398 as a biopesticide and expect to receive approval during 2020; registration of other peptides in the USA will follow, permitting the first launches of PREtec peptides in 2021. Registrations in Brazil will follow. Within each 3G platform, we are able to modify the peptide sequence in order to customise the performance of peptides in various ways. For example, to make them better at inducing resistance to pests and diseases in plants, to improve the tolerance of plants to drought or to accelerate root growth. Furthermore, we can optimise the physical and chemical stability of peptides, so that they are stable in mixtures with agrochemicals. Our 3G peptides are designed to be combined with standard crop protection products through both seed treatment and foliar applications. Innatus 3G was our first platform. It delivers a range of disease and yield benefits to growers and has amassed the most comprehensive database of compelling crop use-cases in the Group’s testing and in tests conducted by partners. It has been under evaluation with four of the top global agricultural/seed companies. T-Rex 3G is a platform developed to protect crop plants against pest nematodes. It also shows good effects in limiting the loss of yield caused by drought stress. Y-Max 3G behaves as a biostimulant, promoting vigour and yield by regulating growth genes in the plant. As a biostimulant, Y-Max 3G has the potential to be registered very quickly in the USA on a state-by-state basis and will appeal to that segment of the industry focusing on the development and marketing of crop biostimulants. T-Rex 3G and Y-Max 3G were introduced to selected partners in the latter part of 2016. Our fourth platform of 3G peptides offers a tool for improved resistance to drought, a major and increasing challenge for farmers in many parts of the world. This platform, which has not yet been named, is now being introduced to partners. We are in the early stages of development of our 4G peptide platform. This platform entails the incorporation of genetic sequences in the plant enabling it to express peptides internally, thereby gaining the benefits of improved disease control and abiotic stress tolerance without the need to apply PREtec to the surface of the plant. In New Technology, nine companies, including the top five global agrochemical/seed companies, conducted PREtec field trials during 2018. For some of these companies, 2018 was their third or even fourth year of PREtec field trials. Further testing by partners will continue in 2019. The Group expects to engage in detailed discussions with some of these companies in late 2019 and 2020 concerning commercial terms of access to select PREtec peptides for use in key crops and geographies. These discussions are expected to lead to one or more significant commercial transactions in due course. However, given the uncertain timing of concluding licences, the Group is actively seeking additional routes to market, with a view to launching products soon after first registrations are granted. These additional routes will include direct sales to distributors in the USA and Brazil. Relationships which we have established with large distributors for the sale of Harpin ß are developing in a very positive manner; these and other partners are highly interested in commercialising PREtec peptides. We anticipate that sales into certain markets through large distributors will allow us to launch products more quickly and to retain higher margins within the Group. We anticipate that a series of commercial collaborations will be finalised in due course, which will target launches of products from 2021 onwards. Our laboratory, glasshouse and field trials, and a number of other trials run for us by university groups and other specialists, have continued to demonstrate that PREtec peptides from the Innatus 3G, T-Rex 3G and Y-Max 3G families can deliver targeted agronomic benefits, such as stronger root growth, resistance to attack by fungi and soil pests (nematodes), and improved recovery from the effects of drought. All of these benefits lead to increased crop yield and quality which translates directly into higher financial return for growers. Click PHC for the full archive.